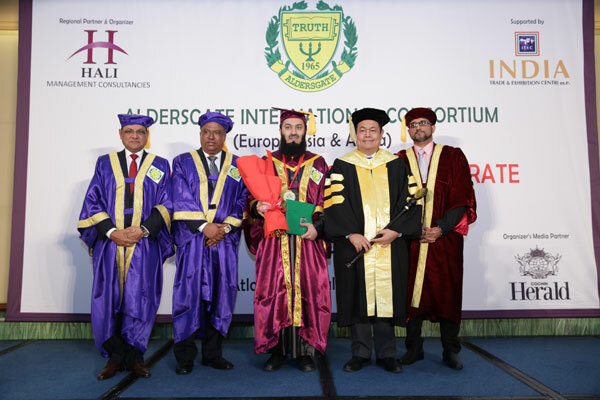 The European Professional Doctorate is jointly awarded by the highly reputed Aldersgate College Philippines & it’s collaborative partner Aldersgate College – Dublin, Ireland. The acclaimed 50 years old Aldersgate, Philippines is accredited by CHED Philippines, WHED, UNESCO & IAU. They have a wide presence in Zimbabwe, Nigeria, Tanzania & South Africa. Aldersgate University awards Professional and Graduate Qualifications under its charter of incorporation under the Transnational Education Framework. These awards are not Irish Awards but European Awards aligned to the European Qualification Framework endorsed, validated and authenticated by Aldersgate College Philippines. The European Professional Doctorate (EPD-EU) is designed to recognize the achievements in one’s professional journey, extraordinary contribution to the Society or exceptional intellectual or artistic achievement. The EPD – award recipients are selected by the Board of the Aldersgate College after a very careful examination of the grounds for their nominations and the conferment is done only upon publication of their respective doctoral portfolio which is developed over a period of time. This is the third consecutive year, Aldersgate is honoring the Achievers of Excellence in Business Entrepreneurship in the GCC & MENA Region. 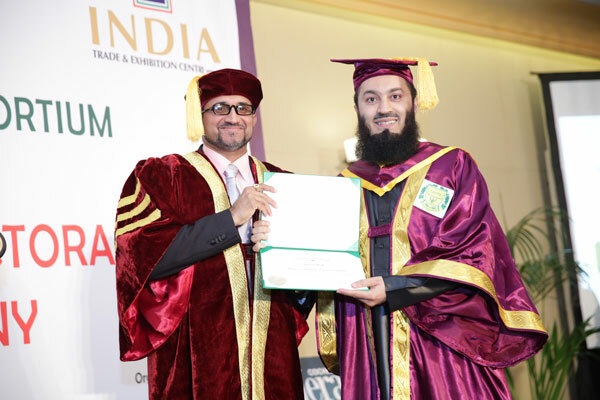 The highlight of the event was Mufti Ismail Menk, a renowned Islamic Scholar, Head of Fatwa Council Masjid Al Ulama of Zimbabwe being honored with Honorary Doctorate of Social Guidance by the Aldersgate University, Philippines. He enlightened the crowd with his insights on Humanity and Social Service which garnered tremendous applause from the audience and officials. Mr. Sudesh Aggarwal, President of Indian Trade and Exhibition Centre m.e. Sharjah addressed the welcome speech. Dr. Don, the Vice President of Aldersgate College Philippines & Chairman of Aldersgate International Consortium, presented the coveted EPD Certificates to the Candidates, Dr. Junifen Gauuan, Special Advisor to Aldersgate University & President Philippine Christian University conferred the Doctorate on each candidates and Mr. Salai Sheikh Saleem, the Managing Director of HMC honored each candidate with medals from the Institution. The event came to a momentous finale when Mr. Fazil Sheikh Saleem, the Founder & Senior Business Consultant of HMC, thanked everyone wholeheartedly who graced the occasion with their presence. Candidates enjoyed the photo sessions in their ceremonial traditional convocation gowns with their family and friends. After the Buffet Dinner, the gathering dispersed with profound memories of the event.